Come to the wonderful World of Mars. Into the future, the Earth has become too polluted and overcrowded. Mankind must leave the Earth in search of other planets to call home. 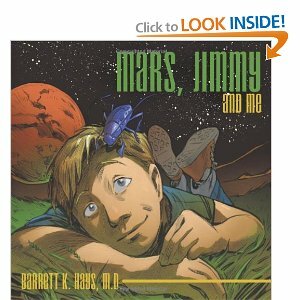 In a most desperate of moments, a boy and a bug save the Earth's Martian Colony from disaster. The boy and the bug become heroes. 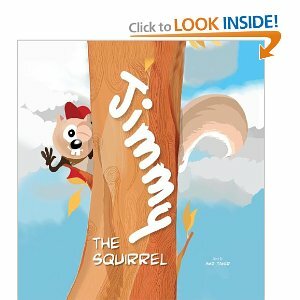 Jimmy is a young squirrel who is hard at work collecting nuts for the winter. He is very happy; he has good friends and a good life, there in his neighborhood in the forest! Everything is very safe, and the neighbors all help each other. Then one day, a strange new threat comes to the forest. Giant machines begin to destroy the tree homes in the neighborhood! The squirrels find themselves homeless and without the food they stored for the winter. What will they do to survive? Forced to leave their homes, the squirrels wonder where they will go and how they will get through the winter. Then Jimmy stands up to help the whole group. Led by Jimmy's courage, they band together in search of a new place to call home. Were you aware, in 2007, that Russian submariners planted their flag on the bottom of the ocean under the North Pole? Santa was aware!Were you aware that the H1N1 Flu that traveled around the world in 2009, mutated into the R1N1 Reindeer Flu by that year's Christmas Eve? 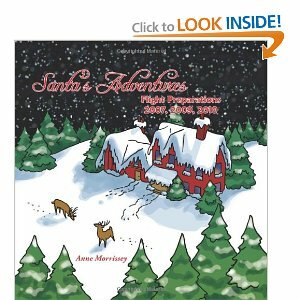 Santa was aware!Were you aware the the Icelandic volcano of 2010, Eyjafjallajokul, continued to provide problems for air travel right up to that year's Christmas Eve?Santa was aware!You can read about these problems facing Santa and his crew in this book of holiday poems, Santa's Adventures. Each of these titles can be found on Amazon and through Barnes & Noble. Thank you to Bohlsen Pr for my samples used in this review, opinions are honest, review by Michelle.